Welcome to our website, the home of our show - Sean Dobson on Politics. On this website you can find detailed information on Sean Dobson, his life, his entry into politics and the subsequent concept behind our show. Check out the catalogue to view all of our shows and use the contact page to send feedback, opinions and suggestions to Sean. There is an established and, in my opinion, regrettable pattern of what happens when people in any part of the EU vote against it. In 1992, a majority of Danish voters rejected the Maastricht treaty. As this was not the required outcome, a second referendum was arranged and, albeit with a new Danish opt out from the euro, the second vote was in favour of Maastricht. Today we see a suggestion that Britain should have a second referendum on EU membership. The stated reason is not that the EU is willing to offer Britain better terms of membership but rather that a majority of MPs are unwilling to implement the outcome of the EU referendum. MPs need to remember that the basis of democracy is that the people of a country consent to the system by which they are governed. Britain joined the EEC in 1973. It was Conservative Prime Minister, Edward Heath who decided that Britain had to join the EEC. The Conservative manifesto for the 1970 election did not make this intention clear and there was no referendum held before Britain was taken into the EEC. It was Harold Wilson, the Labour Prime Minister, who allowed a referendum in 1975. Rightly or wrongly, 67% of voters voted to remain in the EU. It seems strange that supporters of the EU membership refuse to accept the simple truth that support for being in Europe declined by at least 19% between 1975 and 2016. By any reasonable assessment, there is no concensus for Britain remaining in the EU. Opponents of Brexit will always refer to the close result of the referendum. This attitude overlooks a simple truth that there is no moral equivalence between a country functioning as an independent democracy and the alternative of it being governed by the directives of an unelected bureaucracy. It is not a question whether the remaining 52% is enough to justify Brexit. Rather we should consider that EU membership represents a most extreme and unusual situation in which the laws by which we live are, in a large majority of cases, dictated by the EU. Surely it is the "Remain" position that should have to secure overwhelming public support for Britain surrendering its right to independent and democratic self government. A second referendum would be the most divisive and unpleasant situation for our democracy. It would not even resolve the Brexit debate. Even if the 2016 result were reversed, opponents of the EU would demand that action be taken to take back control over our laws and governance. The message pro EU politicians is that they believe being elected politicians allows them to overturn the result of the referendum. They appear to believe in the demolition of democracy. Ultimately the question has to be this: does Parliament exist to make the laws by which we are governed or is it there to hand control of our country to an unelected bureaucracy? If you would like to contact Sean or any member of the team please go the 'contact us' page on the website. 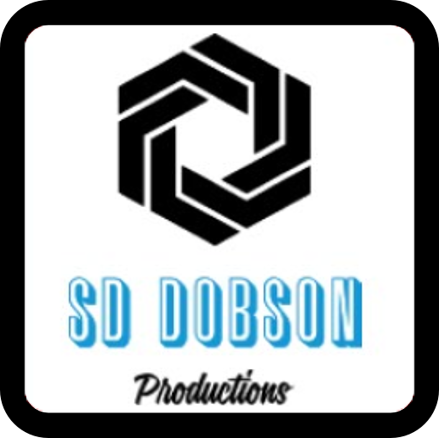 More information and all episodes of 'Sean Dobson on Politics' can be found via the links on the right.